health What Mood Disorders ? and How To get rid of Mood Disorder? What Mood Disorders ? and How To get rid of Mood Disorder? What Mood Disorders ? and How To get read of Mood Disorder? What is Mood Disorder? - Mood disorder in ordinary language means bad mood. But in today's times, people keep so much pressure on the minds of their work. Because of which they are disturbed due to some reason, and due to the same problem, those people tend to be slightly irritable and angry. The same irritation and anger are called Mood Disorder. People start living in tension after seeing more ups and downs in their work and keep thinking about something in such a situation. Mood disorder is also caused due to excess stress. In today's time, every person thinks that he wants to be the same, but in reality, it does not happen, and due to this also the mood of the people gets spoiled and this also becomes the cause of mood disorder. Those people who consume excessive narcotics are not well, and those people lose the balance of their mind very quickly. This cause also causes Mood Disorder. 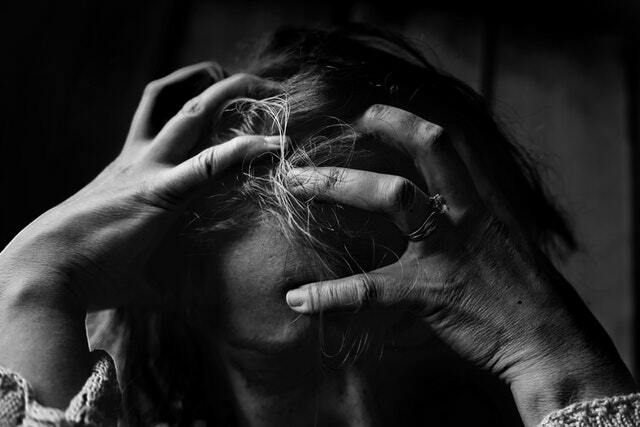 People who are helpless and helpless because of something or other things, often get angry at a little bit, and that anger is called Mood Disorder. Those people who always think negatively about something or things and look at everything negatively and speak negatively about everything, those people often complain about Mood Disorder. Those people who continue to discriminate in everything, they live in a little depression due to which they never mood for those people, and this reason is called Mood Disorder. This is also a very big reason, that can cause any person to have a Mood Disorder. Because people who are troubled because of their physical weakness, they can not satisfy their life partner properly, due to which the marriage of those people does not work well and they become irritable by thinking about this matter is. The same irritability is called Mood Disorder. Correction of Mood Disorder is very important because if a person's mood is worse, then that person can be harmful to any person due to his Mood Disorder and can cause problems for him. So in this post, we will learn ways to fix Mood Disorder. Yoga is a very good way to calm the mind and keep your mind healthy forever. Those people who regularly perform yoga do not have any kind of depression like any kind of depression. Therefore, do yoga regularly to avoid mood disorder. Yoga will strengthen the mind and the mind will always remain calm. Sometimes we like to talk about our mind to our friends and we feel very light internally so that you can resort to your closest friend to correct your Mood Disorder and that friend You can tell all the things in your heart that will calm your mind and you will be away from Mood Disorder. Mood disorder is also caused by physical impairment of the body, so try to get rid of your physical weakness as soon as possible so that you can avoid Mood Disorder with your personal life. To overcome your physical weakness, you can consume Ashwagandha powder. If you drink half a teaspoon of Ashwagandha powders in a glass of milk for at least 1 month continuously, then your physical weakness will end with the root. If you always think positively then you can never have any such thing as Mood Disorder because negative thinking occupies our mind, because of which we do not think about anything good and the same negative thinking is called Mood Disorder Becomes the reason for So always think positive. Often you people have seen that people who do not sleep well, they are always irritated and the same irritability mood is the disorder, so if you take at least 8 hours of sleep every day you will never be irritable Nor will your badness be bad. To keep your mood good, you always eat such food which is better for your health and consume more and more fruits so that you do not have any kind of disease because as you might have seen, people who are more ill People become irritable and the mood gets spoiled over the talk about those people. Therefore, to avoid Mood Disorder, you should always eat nutritious food. To avoid Mood Disorder you can go somewhere to hang out. You people have felt like this when we get too much pressure for any work. The music of the Sangs fits us completely in the end so that whenever your mood is bad, then you can listen to the songs in the ear by putting earphones in the ear, and by doing so, all the tension will get away from you so that your mood is fine Will remain. If the mood is bad, then it is not necessary that everything is bad and bad, I am pretty sure that you are not all of those people who give up with these small problems. Therefore, you will also be able to correct the bad mood. So watch your favorite movies in such a way, by doing this you will feel much better and the mood will also be fine. By keeping yourself busy will not make you forget about those things, because of which your mood is spoiled. This is the best way to get rid of the bad mood. The empty mind is the house of the devil when you do nothing, the brain will think of the things that are bad, which will make you more disturbed. So keep yourself busy in some kind of work of your choice. If you have a negative attitude and are not recovering the mood for a long time then take a break. Learn how to do anything new. Learn to sing, sing, or dance, or any other art form. It is said that there is so much love in art. It makes the artist cute .... very cute. It will also increase your energy level and confidence. You must be surprised at knowing, but makeup is also made to improve the mood, which is called mood makeup. This is a thing beyond Aroma Therapy or Ayurveda. They contain some elements that have a positive impact on your brain. They contain neutron transmitters, which have a positive effect on the user's psychology. In addition, there are many such chemicals that have an effect on the mind when combined. Although they do not alleviate your mood well, its use begins to mood gradually.